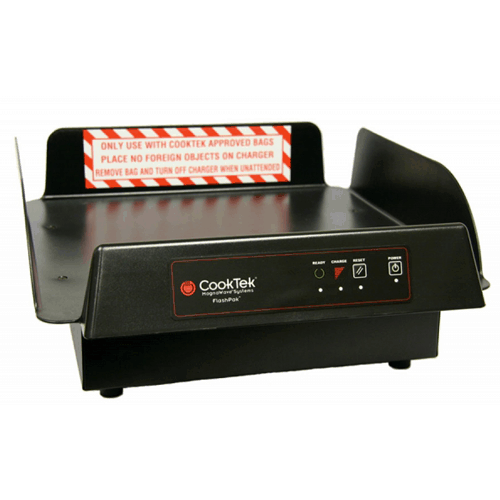 The CookTek Pizza Delivery System has been used by leading chains and independent pizza shops for almost a decade to keep pizzas hot, fresh and delicious upon delivery! Induction technology is used to heat the bags in just two minutes. CookTeks’s Pizza delivery system is fast, easy to use and cordless, and allows hots pizzas to be delivered up to 45 minute from the store. Quality is maintained and the pizza is delivered just as fresh as you made it! The delivery system consists of a specially designed lightweight thermal disc, a system specific bag, and an induction charger base. 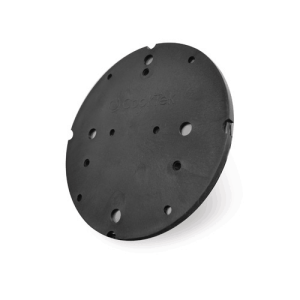 * The disc is hidden inside the bag and is only removed when replacing or cleaning the bag. Once a bag containing a disc is placed on the charger, it automatically heats up and a red light indicates charging is taking place. When the bag is hot and ready for use, the light changes to green.